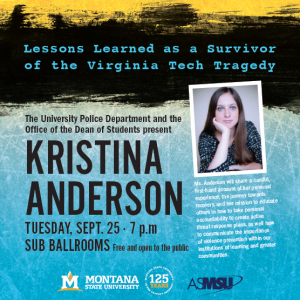 Kristina Anderson, who survived being shot three times during the 2007 mass shooting at Virginia Tech, will share a candid, first-hand account of her experience, her journey towards recovery and her mission to educate others in how to take personal accountability to create active threat response plans. She will also discuss how to communicate the importance of violence prevention within our institutions of learning and greater communities. 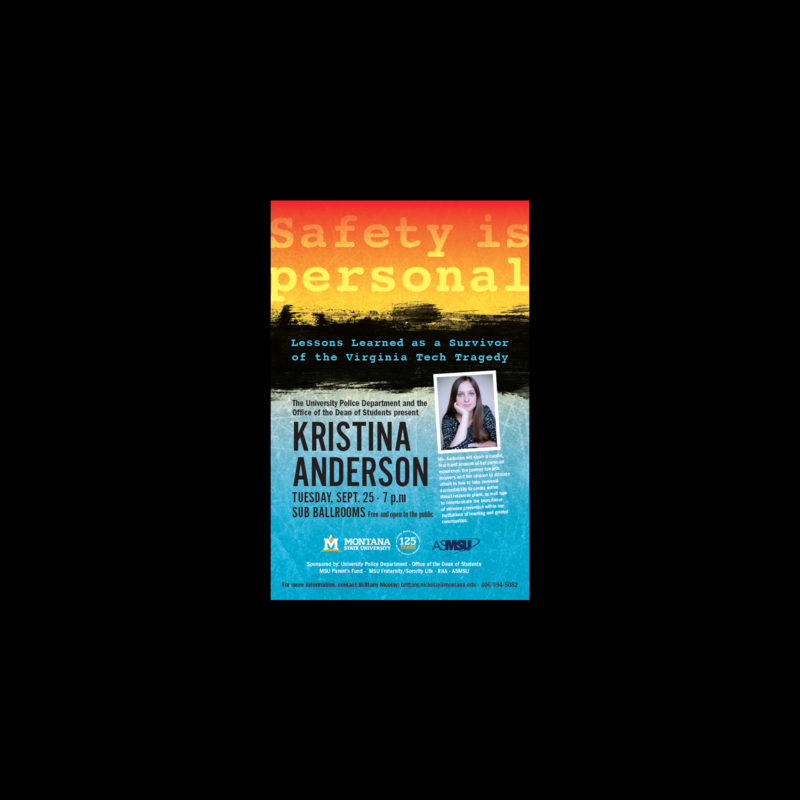 This event is free and open to First Responder personnel and Behavioral Intervention Teams only.